Telepathy Japan, Japanese subsidiary of Sunnyvale-based wearable device startup Telepathy, unveiled a new product called Telepathy Walker at CES (Consumer Electronics Show) in Las Vegas this week. 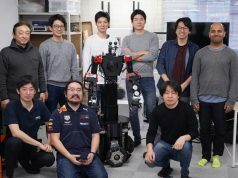 The company plans to start selling it for $699 from summer, but they will accept pre-orders at crowdfunding sites for consumers in Japan, the US and Canada. Almost a year ago the company announced Telepathy Jumper, a smartglasses product primarily intended for business use leveraging the cloud feature. 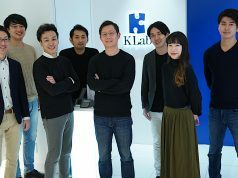 However, Telepathy Walker, the new product, is being marketed to feature use of location-based augmented reality (LBS-AR), which indicates that they are shifting business focus to daily and entertainment use for individuals. Telepathy was founded by Takahito Iguchi, who became global with his Sekai Camera app but is running a robotic startup now called Doki Doki. 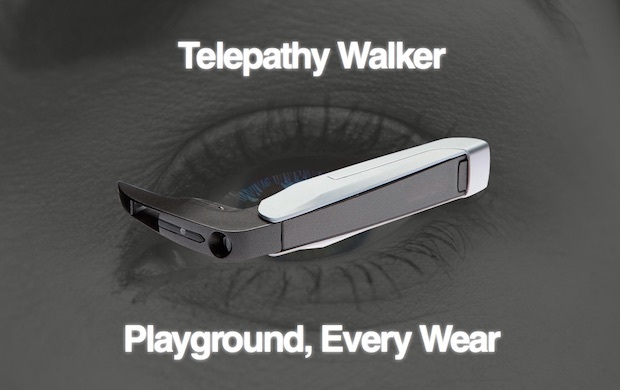 If we don’t count Telepathy One as their product because it didn’t come to market, Telepathy Walker is the second product for the company following Telepathy Jumper. Our readers may have a strange feeling that Telepathy Walker emphasizes its LBS-AR use which the Sekai Camera app had been pursuing from before. Telepathy Japan is hosting a booth at CES in association with Osaka-based Brilliant Service, the developer of the Mirama gesture controllable smartglasses. Commemorating this collaboration, the two companies showed the world that Telepathy Walker or Mirama wants to realize a concept movie developed by Japanese popular anime studio Production I.G (see below). 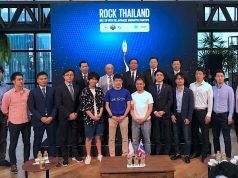 It will be interesting to see how they will attract many backers from among anime and game freaks worldwide with the upcoming crowdfunding campaign.